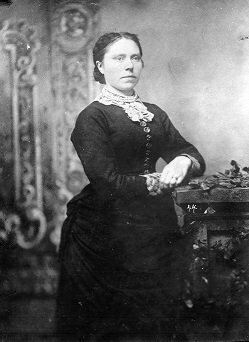 Belle Gunness was an immigrant who came to America in 1881. She took the name of Belle Storseth when she came over from Norway. She was born in 1859 as Brynhild, and her original surname was probably Paulsdatter Størseth. Details on her early life are pretty scanty, but a homestead near Selbu in Norway claims to be her birthplace. A lot of sources say her father was a stonemason, and that she was the youngest of eight children. She grew up into an imposing woman – six feet tall, and stronger than most men. One commonly repeated story is that she became pregnant aged 17, and that a man attacked her at a country dance (for unspecified reasons) causing her to miscarry. The same sources claim that the man avoided prosecution due to his family’s wealth, and that this all lead to a marked change in Brynhild’s personality and to her determination to move abroad. Her older sister Nellie had moved to America some years before, and in 1881 Brynhild left her home and her name behind and went to join her in Chicago. By 1884 Belle had met and married a fellow Norwegian immigrant named Mads Albert Sorensen, and the newlyweds opened a sweetshop together. It wasn’t a huge success, and it was a stroke of luck for them when it burned down mysteriously a year later. Mads and Belle collected on the insurance, and used it to buy themselves a family home together where they lived for the next fifteen years. They had four children together, though only two (named Myrtle and Lucy) lived out of infancy. The other two died in infancy of colitis, a sadly common occurrence in the 19th century. The census for 1900 lists Myrtle as three years old and Lucy as 1, and also has a ten year old adopted child in the house. 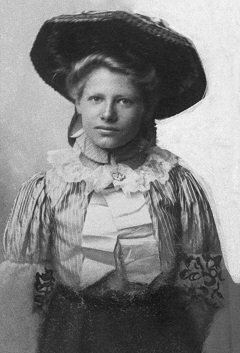 She was Jennie Olsen, though the census allegedly lists her name as “Morgan Couch”. The same year, Mads Sorenson died. The first doctor who examined him thought it might be poisoning, but his own doctor had been treating him for an enlarged heart decided that this what had caused his death, and they decided against performing an autopsy. Mads’ life was insured – a popular story is that he was in the process of changing life insurance policies, and died on the one day that the first policy expired and the second one kicked in, so that he was covered by both. Belle got a payout of $8,500 and decided to use it to buy a farm in La Porte, Indiana. Belle dressed in her widow’s garb for Mads Sorenson. While she was in the process of leaving Chicago she met a fellow Norwegian she had known a few years earlier named Peter Gunness. He was a widower, with two daughters just like Belle. The pair bonded in their grief, and when Belle did move out to Indiana Peter arranged to come out after her later. The house Belle moved into was somewhat infamous in the neighbourhood – it was usually referred to as “the old Mattie Altic place”. Mattie Altic was a woman from Chicago who ran a brothel out of the house, allegedly under the protection of the Chicago politicians and crime lords Michael “Hinky Dink” Kenna and “Bathhouse John” Coughlin. The brothel was known as “the Farm”, and it was a popular place for the respectable businessmen of Chicago to visit away from their regular daily lives. Darker rumours have it that the isolated location made it a destination for the victims of human trafficking, though nothing substantiates this. Similarly, stories that the coach house and jetty on the grounds of the house were insured by Belle and then mysteriously burnt down shortly thereafter are equally unprovable. It’s definitely sure that the bad reputation of the house helped to make it a real bargain for Belle. Peter soon moved in, and a thriving pig farm was set up in the former brothel’s grounds. 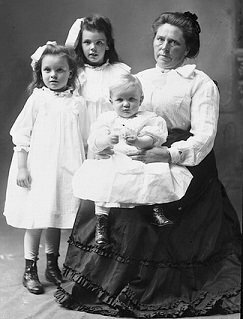 On April 1 1902 Peter and Belle Gunness were married, and a week later Peter’s infant daughter  died suddenly. This tragedy was overshadowed the following December when Peter himself died. Unlike Belle’s first husband, this time there was no mystery around how he died. He had been struck hard on the head. Belle claimed that this was the result of a tragic accident, and that as he’d been taking a part of a sausage grinder off a high shelf it had fallen onto his head. Some locals thought this unlikely, as Peter was an experienced butcher and should have known better. Belle was far from popular in town – she was known for her sharp dealing in the shops, and her unfriendly demeanour. The local coroner decided to have the death investigated, but the investigation found no evidence of wrongdoing. Belle was cleared, and left free to collect the $3000 paid out by Peter’s life insurance. In 1903 she gave birth to a son and named him Peter after his dead father. Later her surviving step-daughter, Peter’s daughter Swanhild, was adopted by her uncle Gust and left the household. Belle and her three children – two daughters by Mads, and a son by Peter. Comely widow who owns a large farm in one of the finest districts in La Porte County, Indiana, desires to make the acquaintance of a gentleman equally well provided, with view of joining fortunes. No replies by letter considered unless sender is willing to follow answer with personal visit. Triflers need not apply. The advertisement caught people’s attention, and several wrote to Belle. She made them an offer – she was definitely willing to remarry, but her suitor would have to be willing to pay off the mortgage on the farm. The first to make the “personal visit” was a Minnesotan named John Moe. He had brought $1000 to pay off the mortgage, but after a week he wasn’t seen around the farm any more. Apparently he had decided against it and left. He wouldn’t have been the only one. A man from Missouri named George Anderson was one of her visitors, but when he awoke to find Belle watching him sleep he was unnerved enough to decide to call it off and go home. This seemed to be a trend, as none of the men who answered Belle’s advertisement seemed to stay at the farm…though curiously only George seems to have made it back home afterwards. Others seemed to get lost somewhere. For example Ole Budsberg, one such suitor, visited the La Porte bank and mortgaged his land in Wisconsin for a sizable cash sum. When his sons tried to find out where he’d gone, Belle told them that he’d never arrived. Another absentee from the farm was Belle’s foster-daughter Jennie Olsen. In 1906 Belle told her neighbours that she had sent the 16-year old Jennie off to finishing school. Apart from her apparent lack of success in romance, there was another problem for Belle. Frank Lamphere, the farmhand she had hired, was beginning to become a problem. He had fallen for her, and fallen hard. Belle didn’t return the feelings, and started to find his jealousy of her suitors a problem. In February of 1908 she fired him, then tried to have him committed as a public menace. This failed, but when he turned up on her property she had him arrested for trespassing. Frank tried to see her a few more times, but was sent away every time. Belle visited a lawyer and told her that Frank had threatened her life, and that he had said he would burn the farm down around her. She made a will, in order to ensure her children would be provided for. On April 28th, the threat came true. Joe Maxson, the man Belle had hired to replace Frank awoke to find the building ablaze around him. He barely escaped from the building, and by the time the local fire brigade had put out the fire the building was gutted. They found four bodies – three children and a woman. The county sheriff immediately ordered Frank Lamphere arrested. 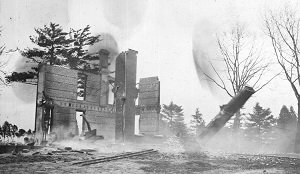 The ruins of Belle’s house. A witness placed Frank at the scene of the fire, and at first it seemed like a fairly straightforward case. He was arrested, and charged with both murder and arson. But then some puzzling details began to emerge. Firstly, the female body found at the scene was entirely missing its head (though the remains of Belle’s false teeth were found with it). Secondly, it was around five inches too short to be Belle. 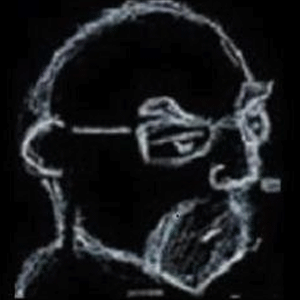 Compounding these questions was the appearance of a man named Asle Helgelien, who came out to La Porte from Chicago. His brother Andrew had been one of Belle’s suitors, and when he failed to return home Asle had written to her asking if he had arrived safely. Though Andrew had brought his savings (in the form of a check for $2,900) with him, and he and Belle had together deposited that check at the La Porte bank, she claimed to Asle that his brother had probably taken a trip back to Norway. Asle was unconvinced, and had told Belle that he planned to come out to La Porte and start a manhunt for his brother. He was in the process of organising this when he heard about the fire. He immediately travelled to La Porte and told his concerns to Al Smutzer, the county sheriff. Al was starting to get suspicious of the whole thing already, but with Asle’s additional information he decided to go back and speak to the only survivor of the household, Joe Maxson. Joe didn’t know anything about the whereabouts of Andrew Helgelien, but he did mention that Belle had recently got him to bring a great deal of earth to the hog pen to flatten the ground there out. His description of the pen before flattening – dotted with strange depressions, like filled in holes – gave Sheriff Smutzer a terrible suspicion. The sheriff took a dozen men to the old Mattie Altic place, and they started digging. On May 3rd, they found the first body – Jennie Olsen. She had been dead for some time, probably since she vanished in 1906. She had been dismembered, and her body parts had been buried in gunny sacks. Near her they found two children, though they were never able to identify who they were. The fourth body they found was Andrew Helgelien, who hadn’t gone to Norway after all. The more they dug, the more bodies they found. At least a half a dozen more of Belle’s suitors were identified, including John Moe and Ole Budsberg. Even more bodies were found, but they were either too decomposed to identify or had nobody to claim them. In the end we’ll never know how many people met their death at Belle’s farm. 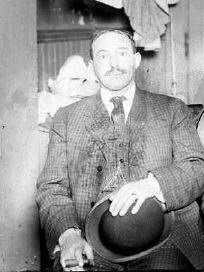 Sheriff Smutzer turned his attention back to Frank Lamphere, and the police soon found that Frank had kept several of the dead men’s possessions (including Andrew Helgelien’s coat and John Moe’s watch). His trial for murder and arson went ahead, but this time it was the murder of the bodies found on the farm. A manhunt also began for Belle, but it was unsuccessful. There wasn’t enough evidence to tie Frank to the murders, but there was enough implicating him in burning the farm to get him convicted of arson. 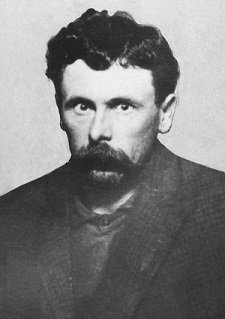 He was sentenced to jail in the November of 1908. In prison he contracted tuberculosis, and soon sickened. He died on the 30th of December 1909, but not before he called for a priest and made a confession. In January of 1910 it was published. In his confession, Frank admitted to having helped Belle dispose of the bodies, but denied having ever killed any of the victims himself. He said that Belle’s standard practice was to either drug her victims and then kill them with a meat cleaver, straight out poison them, or else fatally chloroform them as they slept. 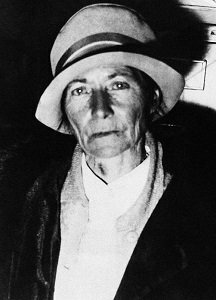 She would butcher the bodies on a table in the basement (using techniques taught to her by the late Peter Gunness), and then usually get Frank to bury them – though sometimes she just fed them to the pigs. The headless corpse found in the burned out house belonged to an unfortunate woman who had answered an advert for a housekeeper, while the other bodies in the fire were Belle’s actual children who she had chloroformed. Belle had planned to abscond with the money she had gathered from her victims (which could have been as much as $250,000 – over six million in today’s money). Her sister told a reporter that Belle had always been obsessed with being rich. In retrospect, it seems likely that few of the fires and deaths that had followed her since she had landed in America were accidental. She had been afraid that Asle Helgelien was about to expose her, but the jealous Frank himself might have been just as much of a liability. When he had been spotted by the road near the fire he had been waiting for Belle, but she had escaped down a different road, and left him to take the blame. Nobody ever saw Belle Gunness again, and nobody ever knew what became of her. She was spotted all over the country, of course, and maybe one of those times it was actually her. For many years people thought that Esther Carlson, a woman who died of tuberculosis in prison in 1931  might have been Belle under another name. She looked a bit like her, and she was probably guilty of murdering at least two people. But in 2014 a researcher found records of Esther’s first marriage in Connecticut in 1907, right when Belle was busy killing a lot of people in Indiana. The true fate of Belle Gunness disappeared back into the shadows, much like the woman herself. Maybe one day we’ll finally know how her story ended. Vicious rumours pointed out that colitis bore a lot of similarity to the symptoms of poisoning, and claimed that the Sorensons collected hefty life insurance payments on the children. Nothing could be proven, of course. Whose name I haven’t been able to find. If you know, let me know in the comments. Examination of the body’s stomach reportedly later found traces of strychnine. If Jennie had lived, in 1908 she’d have been 18 and Belle would have had to have given her $1800 she held in trust for her. Yes, that did happen a lot.